EMUGE Cut & Form solid carbide end mills feature a patented tool geometry that performs two functions – cutting and polishing - in one operation, generating significant manufacturing time and cost savings! 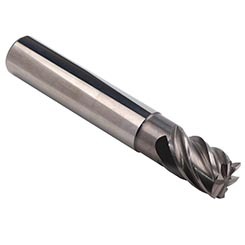 The Cut&Form end mills of FRANKEN`s product line “Expert” are characterized by an unique tool geometry. 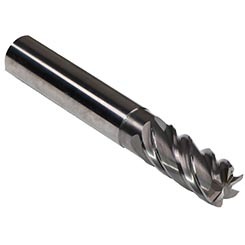 The Cut & Form carbide end mill enables the user to combine the finishing milling and polishing operations in one step.